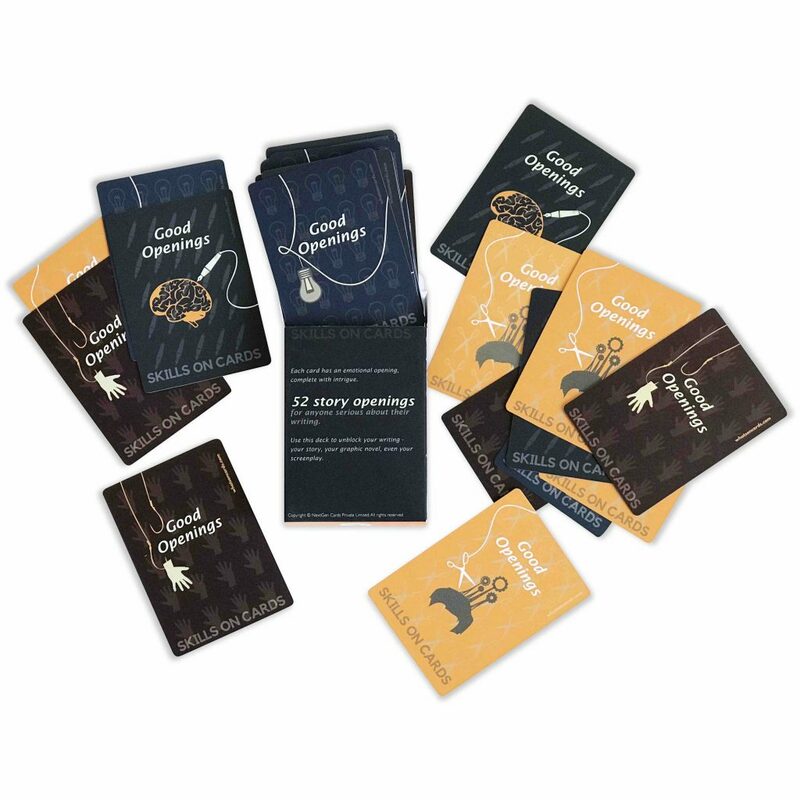 Each of the 52 cards contains an emotional opening with intrigue. Unstuck yourself. 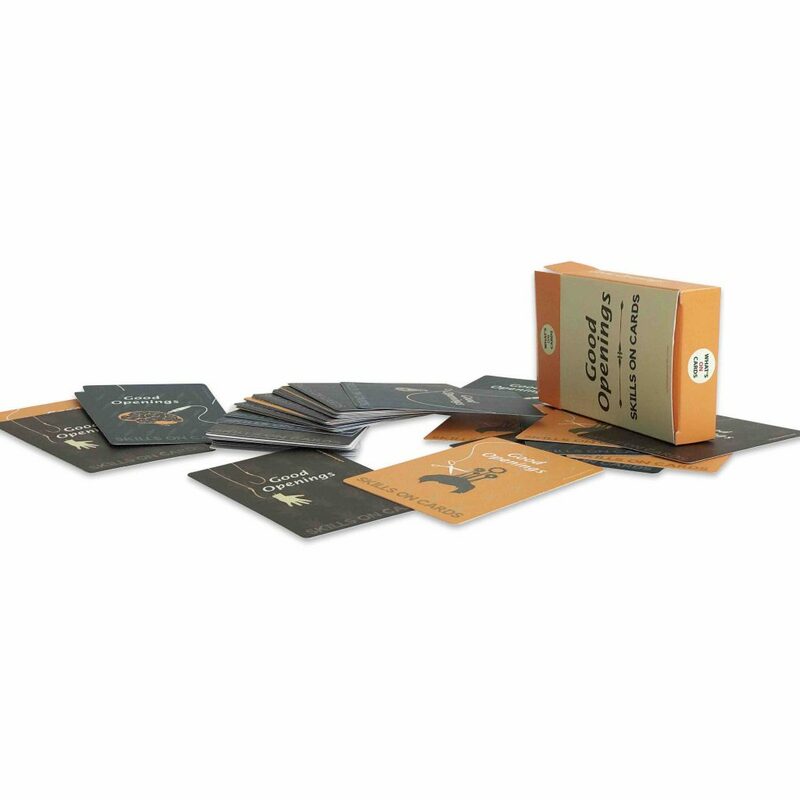 Use them to kickstart your writing, whether you are stuck in a starting trouble or in a writer’s block. Trigger your creativity. In a coffee shop or standing in a line? 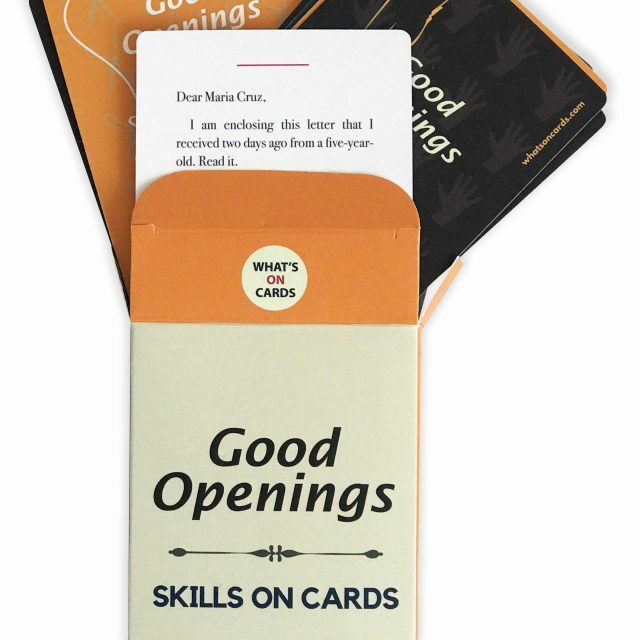 Bring out the Good Openings, shuffle, pick a card and read quietly, and think of how you can work these openings into your own writing project. Thinking about podcasting? Use these cards to practice your dramatic reading voice. Let the emotion in a Good Opening come through your voice movingly. 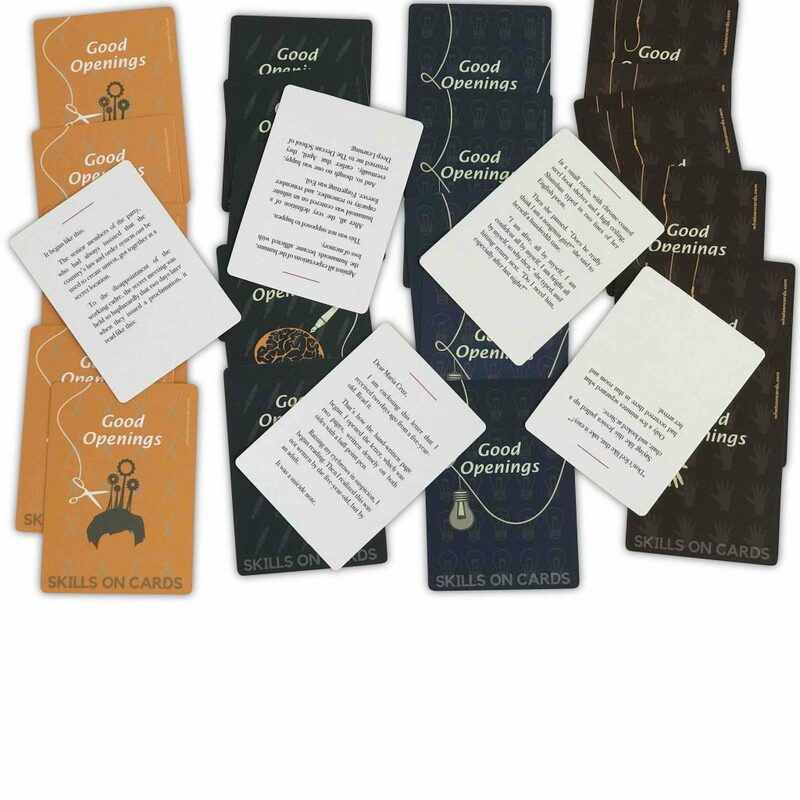 Practice not just in 52 distinct ways but also combine the cards in your own interesting ways. Training to be a translator? Use this deck as a translation teaching tool. Gather your group, pass these cards around and ask them to translate these into their native language. Thinking about writing a comic book or a graphic novel? Each Good Opening is nearly perfect for your project. Pick a card and draw the story. How many panels will you use? How will you finish your Good Opening? 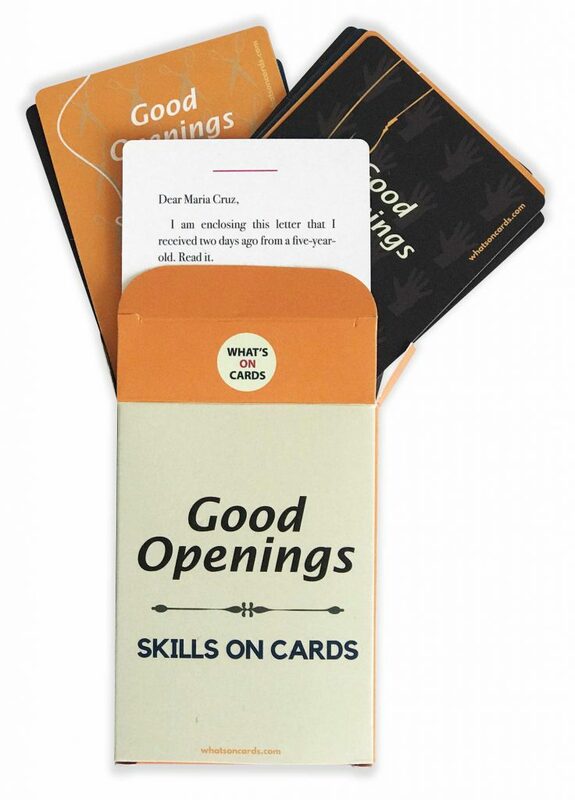 These newly launched Skills on Cards series are designed with a goal of getting to the point quickly, with a distinct idea presented completely on each card. BRING YOUR BEGINNER’S MINDSET to these Skills on Cards decks, and you will keep referring to them again and again. EMOTIONAL OPENINGS. 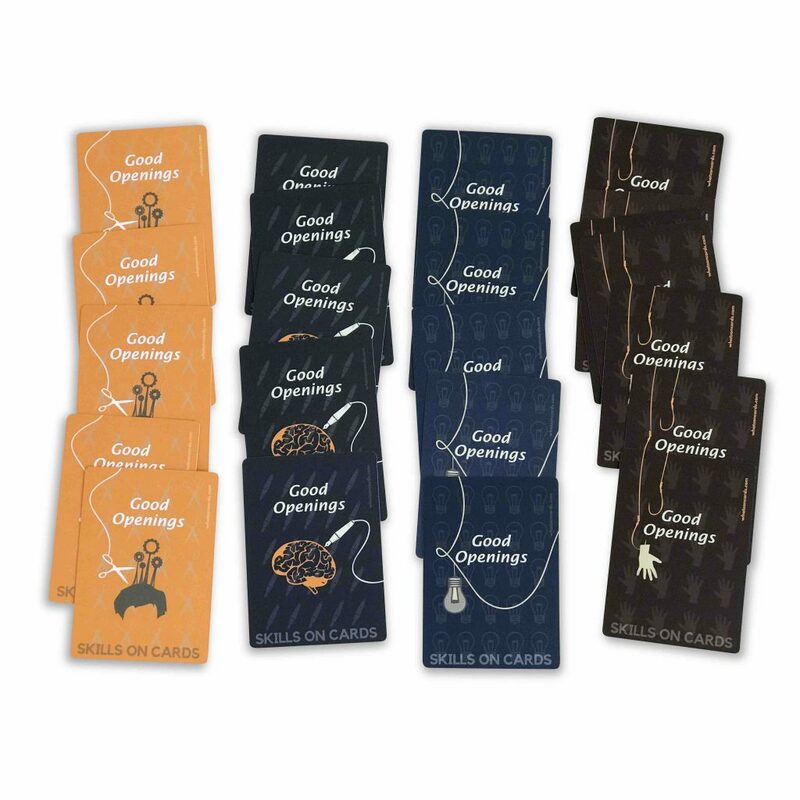 Each card contains an original emotional opening, complete with intrigue. UNBLOCK YOUR WRITING. Use this deck to unblock your writing–your story, your graphic novel, even your screenplay. MAKE IT YOUR OWN. Each opening is around 60 words, and instantly captivates you and leaves you hanging, just where you want to pick it up and make it your own. FINISH THE STORY How will you finish a Good Opening? 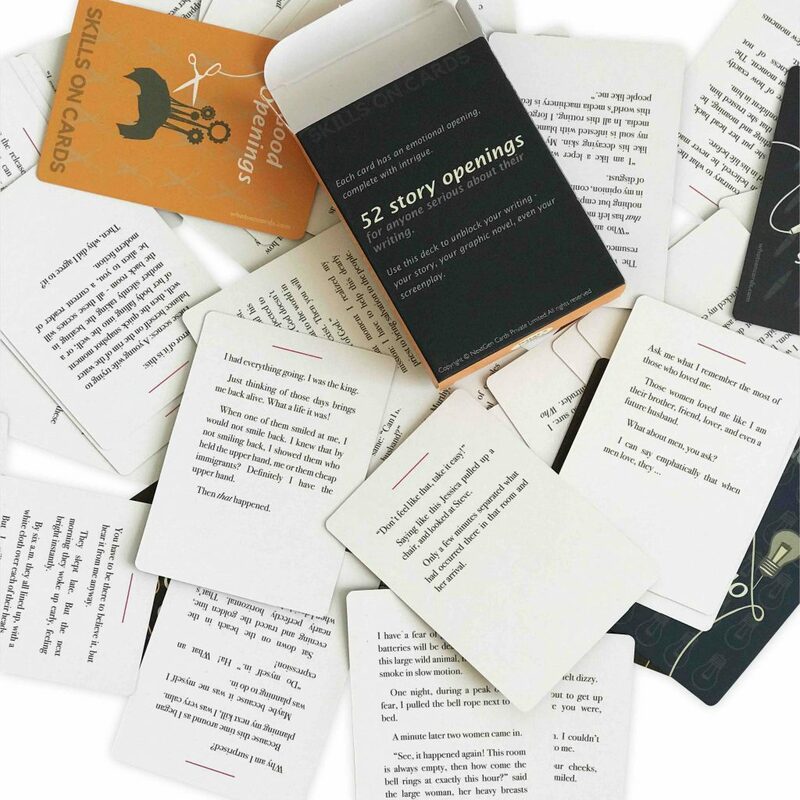 Inspire yourself with the ideas from these 52 cards for your next storytelling project. ENHANCE YOUR ENGLISH SKILLS. Pick a card at random and work on translating it into another language. Use these good openings to improve your language learning skills, and your translation skills.